Two study groups are available, the first starting on Wednesday 14 February at 11am in the Centre and will be led by Rev Tim Frank. To register please sign up on the relevant clipboard in the Church Porch. The second will be an evening group (day to be confirmed), starting the same week as the Wednesday group, and led by Rev Juliet Drage. A clipboard will be provided for registration once a day is confirmed. Booklets for the study are $8 each and will soon be available to purchase from the office. 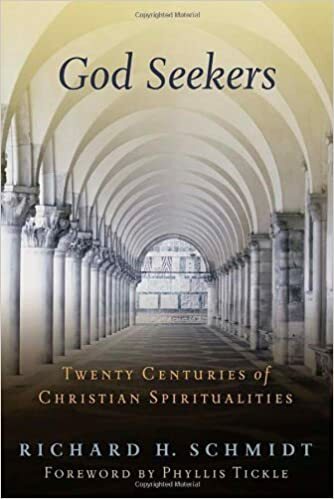 A 32 week book study looking at leading figures in Christian spirituality from Irenaeus to Antony to Patrick to Julian of Norwich to Dorothy Day to Rosemary Radford Reuther. The books (God Seekers) have been purchased and are $30 each. This is the sequel to last year’s Book Study, Glorious Companions. There will be two groups: Tuesdays at 7pm and Thursdays at 2pm beginning 10 April in the Centre, ending in November. To register, please sign up on the relevant clipboard in the Church Porch.